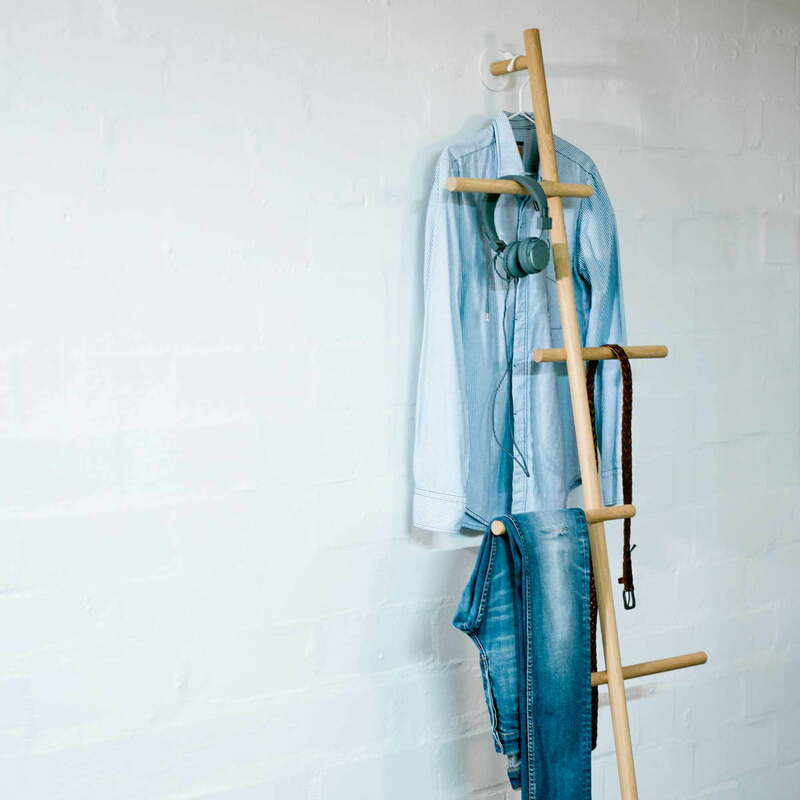 Wendra is an leaning coat rack by kommod on which clothes, hand towels or bags can be hung in the bathroom or corridor. The elegant, refined and functional design is reduced to the essentials and fully meets the aesthetic standards of the German manufacturer. Wendra is made from solid wood, that spreads a certain warmth and that stylishly enhances any environment. 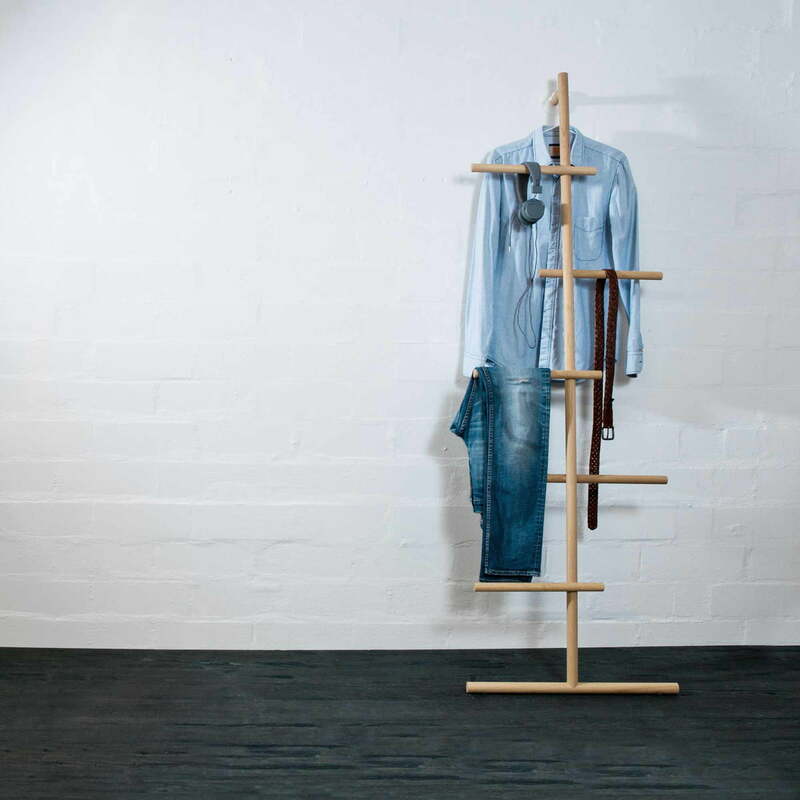 Due to its purist shape, the coat stand is versatile and can be introduced in the bathroom as a towel rack, in the bedroom as a valet stand or in the hallway as a classic coat rack. The leaning feature makes it easy to set up without having to drill into the wall or use screws. The innovative combination of a universal adhesive gel pad on a simple metal disc and a hidden magnet in the wood ensures the wall rack is securely help in place. This also makes it possible to remove it and use it elsewhere. Isolated product image of the Wendra hand towel holder / leaning coat rack. The leaning feature makes it easy to set up without having to drill into the wall or use screws. 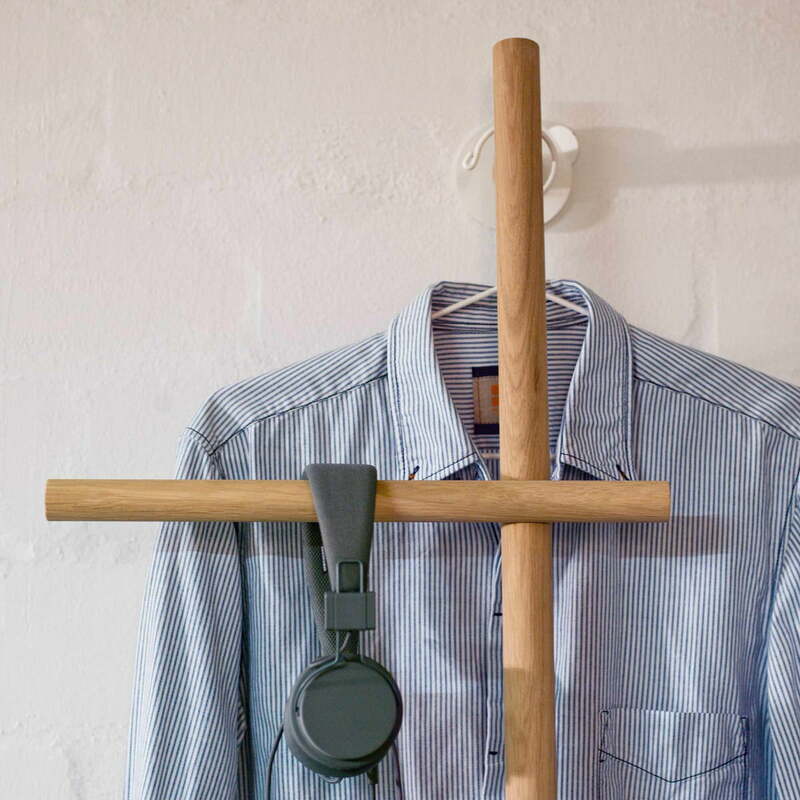 Lifestyle product image of the Wendra hand towel holder / leaning coat rack. Wendra is made from solid wood, that spreads a certain warmth and stylishly enhances any environment. Lifestyle product image of the Wendra hand towel holder / leaning coat rack. The elegant, refined and yet functional design is reduced to the essentials and fully and completely meets the aesthetic standards of the German manufacturer. Detailed product image of the Wendra hand towel holder / leaning coat rack. 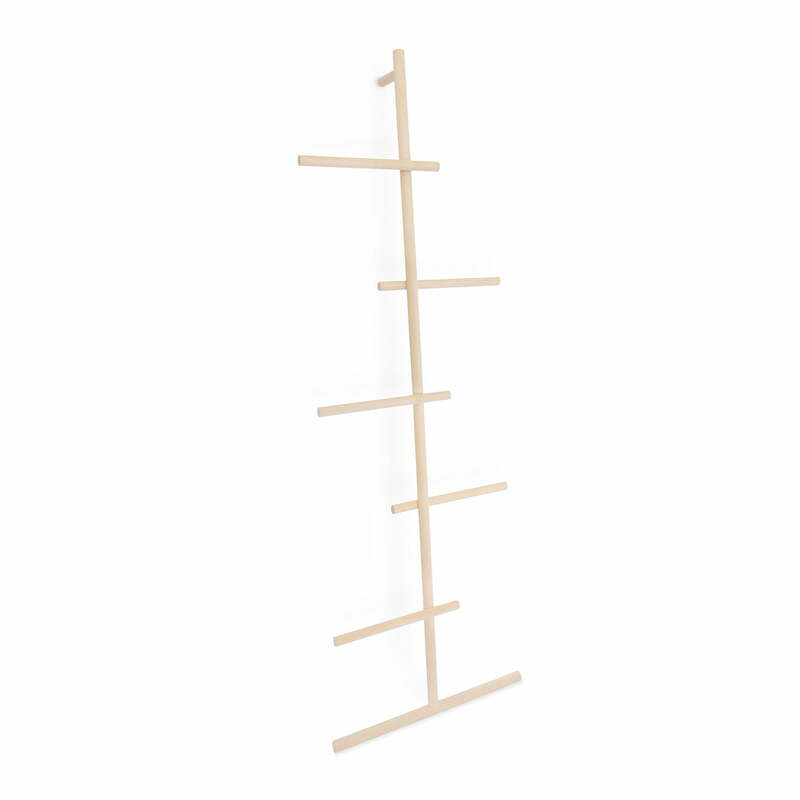 Wendra is an elegant leaning coat rack by kommod, on which clothes, hand towels or bags can be hung in the bathroom or corridor.